June’s Table Talk was an energetic and passionate discussion about “Using Natural Learning Environment Practices (NLEP) in Childcare Settings”. Miranda Lord, CBRS provider from Easter Seals/UCP and Danielle Talford, Developmental Specialist from the CDSA did a great job of framing up the topic. Clearly childcare is a natural setting for young children and a prime opportunity for learning. We talk a lot about coaching with families to support young children during their naturally occurring routines and activities but how does that look when the routines are in childcare and the primary caregiver is a teacher instead of a parent? There were many interesting reflections from the group…. This can be hard! Figuring out how to support teachers to help increase their confidence and competence in supporting children without disrupting classroom activities is a tall order. Teachers are responsible for all of the children in the classroom and providers are in the same boat while they are there. Supporting daily routines and activity settings in the home might involve a few siblings but in the childcare…there might be 8 or 9 peers to involve! Some teachers may have had limited involvement during outcome development and outcomes might not be connected to concerns or priorities that they have. 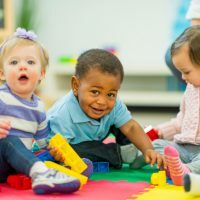 Some might be unclear about the purpose of the early intervention program and the role of service coordinators and providers. One provider noted they had to be wait while a teacher supported several toddlers during their handwashing routine before they could focus their attention on the child with the IFSP. And no way around it…there is also a lot of structure that teachers need to follow in order to manage classrooms for infants and toddlers. This can make following a child’s lead a wee bit challenging. It’s important to start at the beginning. IFSP outcomes and good teaming are paramount to success. What are the outcomes that have been identified and how are we making decisions about the location of services? IFSP teams need to be deliberate in deciding when it makes sense for services to be provided in childcare. An outcome about Johnny participating in watering flowers with his father would be difficult to work on at childcare. Especially one without flowers. 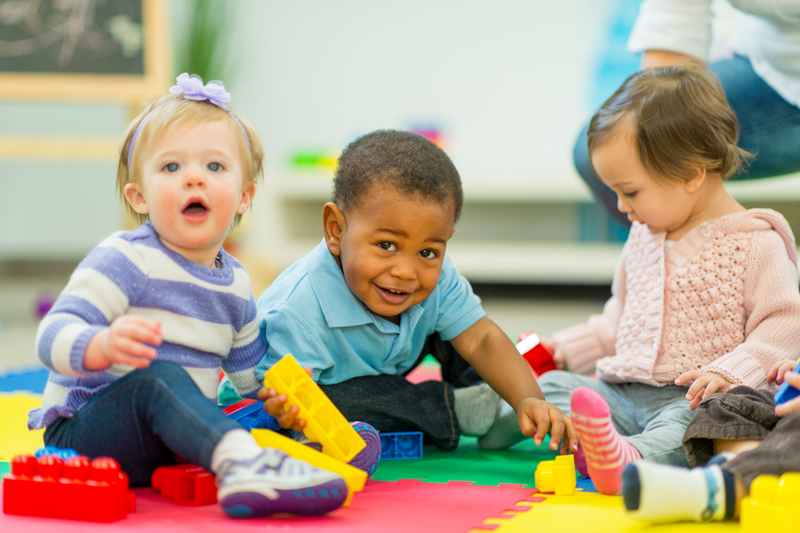 If teachers aren’t involved in providing input around routines and activities at childcare their understanding of why a provider is there and their buy in can be impacted. One pitfall mentioned was continuing services in a new location when there has been an unexpected change (e.g. parent going back to work or move to a new childcare). Speeding ahead without planning with childcare directors and teachers can be a recipe for failure. Relationships, Relationships. Relationships. It was clear from the discussion that folks realized that success in providing services in childcare settings is directly connected to good working partnerships and communication. What? Sure sounds just like what we focus on when working with parents in the home. It is critical to let teachers know how much we value their role and participation. Some in the group had experience as teachers in the past and noted that input is not always sought out or appreciated. And often when someone comes into the classroom it is to evaluate, not to support. There were lots of great examples of discussions folks had before and as services started to set things up effectively. Taking the time to ask questions and get information, commenting on specific things that teachers are already doing to support child learning, and joint planning on how best to support the child in their daily routines were all highlighted. What do we need to do before the service starts? If we were going into a family’s home for the first time we wouldn’t just show up…would we? Many in the group mentioned the importance of meeting together with parents, childcare directors, and teachers before services in childcare start. Discussions should include gathering information from teachers about activity settings and figuring out ways that providers can best support teachers during those times. Developing a good communication plan is essential and Directors can ensure staffing support so that teachers can be fully participating IFSP team members. Several in the group noted times where these conversations hadn’t happened before services started and how hard that was to get things on track. There were also examples of how teams were able to quickly get on the same page through deliberate and supportive discussions as services started. It worked well when there was good discussion about building a strong team and recognition of the expertise that all team members bring to the table in supporting the child. Challenges need to be discussed directly. Ok – there are challenges for sure when services are provided in childcare. What do we do when the teacher asks us to take the child to another room to “work with them”? What do teachers do when provider visits move around based on other things in their schedule? What happens if we see something in the childcare that is concerning? What do we do when things just aren’t going smoothly and the team is not on the same page? We all need to communicate about what is and isn’t working and be open to feedback and new information. We need to be flexible, transparent, respectful and sincere in our communication with team members. Whew. We are all in this to support children and families and with that shared goal we need to be working together when things are difficult. How do we make sure parents are kept in the loop? A wide variety of strategies were discussed that worked for teams. Having some visits in childcare with the parent present, communicating at drop off/pick up time, communication books if the team felt they would be helpful (making sure information is kept confidential), IFSP meetings/reviews at childcare, and calling parents after sessions to discuss what happened and to get their feedback were all mentioned. Think about potential resources. IFSP team members are a resource for each other and should feel free to communicate when they need something or have questions or suggestions. Child Care Resources can provide behavioral and other support in the classroom through a child development specialist. So much of what the group discussed mirrored what we do when providing services in family homes and in other places in the community. There is an additional layer of complexity when we are in childcare and upfront planning that is critical to success. The examples mentioned by the group of how children’s participation and engagement was supported in childcare were many. As always, strong teaming and communication are absolutely necessary. We are taking a summertime break from Table Talk Wednesday in July, August and September. Keep an eye out for our next get together via email blast or through eiecellence.org.